No, I’m not talking about the Hunger Games… I’m talking about being hungry in Houston and the dangers of wandering the streets looking for food when you are associated with a dork conference. 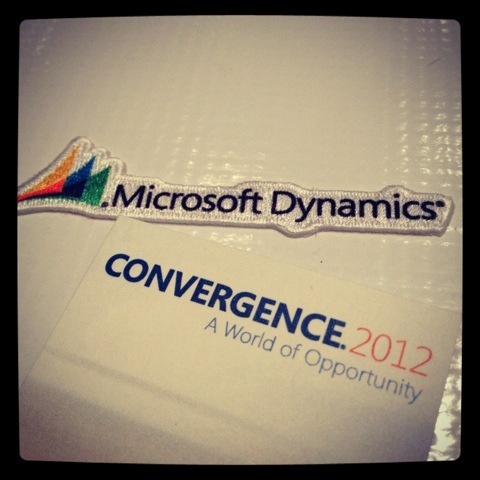 Last week, I was in Houston for a Microsoft conference. You might be able to come up with your own idea of the typical attendee at a Microsoft conference… but I will help you out with the photo below. Anyways, I was in Houston for this gathering of geeks and was finally on the other side of the marketing wall where I was a client, so we got schmoozed and boozed to our hearts extent. 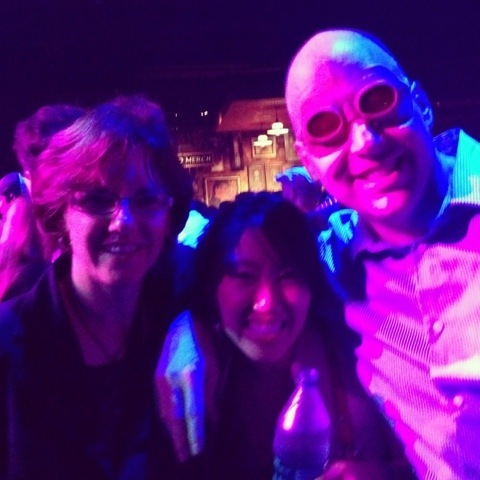 Our HP guy (John from KentUCky, yeah… he said it like that) entertained us from morning till morning… literally. It was fantastic to be so well fed and entertained. Most of the places we went were entertainment venues with food out for grabs. Seared ahi seems to be a staple EVERYWHERE now, so as a data analyst I should probably make a spreadsheet with all the places I have unexpectedly been served ahi. It had been a while since I was taken to open bar events, so I had no clue what to order outside of my kamizake with fresh lime (thanks, dad). I went for a safe gamble and ordered local beer and was introduced to a VERY delicious local Amber! 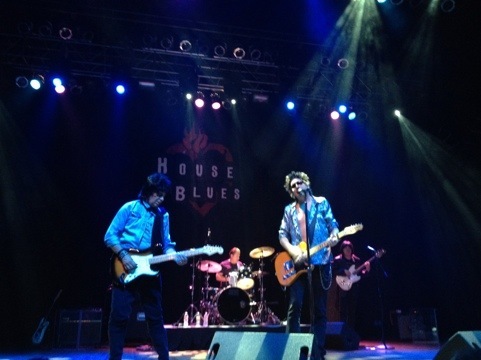 Our evenings were definitely filled with excitement and major fake celebrities, like the Rolling Stones at the House of Blues. It was all a ton of fun and we were nice and safe in a big group that looked out for each other. However, I stayed an extra day and night by my lonesome to make a side trip to our Houston office. So I was left to fend for myself one evening for dinner, which was no big deal cause I like to eat and try new places. Unfortunately for me everyone was on edge cause people (in GROUPS) were getting mugged by gunpoint outside of nice hotels. And it appeared they were targeting Microsoft conference attendees. We attributed it all to profiling the geeks who can’t defend themselves and rarely get out of their moms basement. So after all that nonsense, I was advised by my colleagues to stay in my hotel. 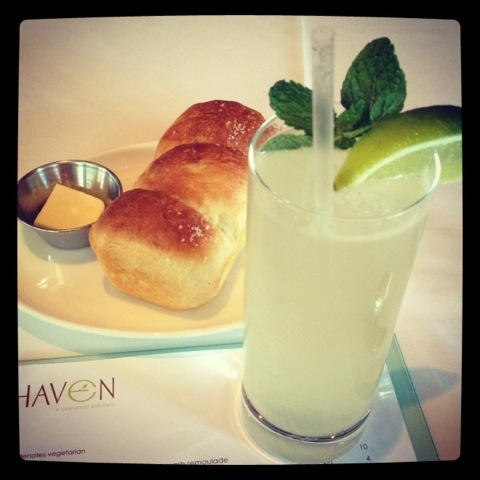 I took it as an opportunity to take a cab to Haven Houston, an award-winning locally sourced restaurant in town. It was in some weird alley and the cab driver had no clue where the place was, so that made for an interesting cab ride… But, it was worth it! My dinner was started off with some housemade sweetbread that is probably what those stupid Hawaiian rolls are supposed to taste like. I don’t generally like them unless I am desperate, but these were pretty tasty and had a sprinkle of coarse salt on the top… so I ate the tops off. The drink was another story! Bourbon ginger beer with fresh lime and mint. AMAZING!!! I am determined to replicate it this summer. I also guiltily ordered a side of cheesy grits. Afterall, I was in Houston! And, holy crap were they delicious! If Lia is reading this, she’s probably getting annoyed at all my exclamation marks, but it was YUMM-O! Came home and immediately bought some grits from the bulk section of the grocery store, but forgot cheese. Cheesy grits have been added to the list of food to make amazing. My main course was unexpectedly heavenly. In an effort to completely kick bok-boks (chickens) out of my diet, I went with the tofu option. 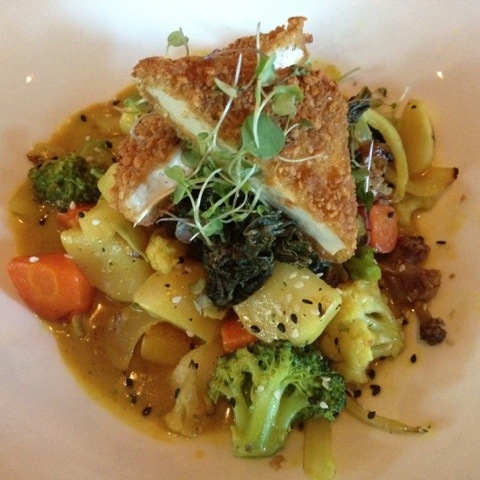 It was peanut crusted tofu sitting on a bed of fresh and local veggies in a yellow curry sauce. Everything was cooked perfectly! Not to sound biased, but most places outside of asian places cook tofu like crap. I’ll admit that even I cook it like crap 50% of the time. Bryan will vouch for that. This however had the perfect balance of flavor and texture, which i my biggest pet peeve in food. TEXTURE! I am only sad that I didn’t get to eat at the Baby Barnabys (how adorable is that story and the doggie drawings?!) cause they were only open for Sunday brunch, lunch, and dinner. 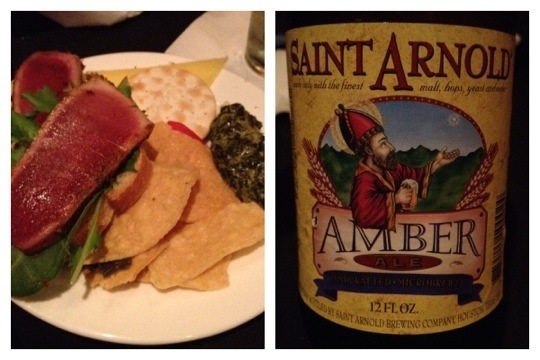 But, I think that I may have to take a trip back now just to enjoy some Houston food with a friend. What good is an amazing meal without someone to share it with? 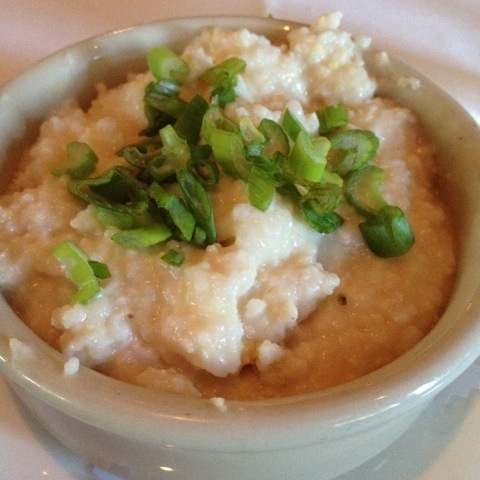 Throw some shrimp in those grits and you got Shrimp n’ Grits…a South Carolina staple. The ‘clan’ loves them. I obviously need to move closer or visit more cause I need shrimp and grits!! !